Liverpool face Derby County tonight in the EFL Cup – or the League Cup as we used to call it, and in some cases still do. It will be a chance for one or two players on the fringes of the first XI to show the manager what they can do, but don’t expect manager Jurgen Klopp to field a totally second-string side for the tie. After seeing his side beat Chelsea 2-1 on Friday night Klopp will be delighted at just how much his philosophy is getting through to his players, but he’ll be wary of them taking the foot off the gas too much this evening against the Rams. Derby’s boss is Nigel Pearson, the former Leicester manager, and he’ll have to make changes to his side with Matej Vydra and Ikechi Anya due both cup-tied after turning out for Watford in an earlier round. Andreas Weimann could be back from a knee injury. The odds may be against Derby tonight, it certainly looks that way according to Matchbook.com, but League form will count for nothing tonight and Pearson may use the game to give some of his own fringe players a chance to prove they deserve a place in his first-choice line up in the Championship. Perhaps it’s as well for Derby if league form does count for nothing this evening. It hasn’t been the best start to the season for the Rams, who made it into the Premier League play-offs last season only to be eliminated in the semi-finals by eventual winners Hull City, the side Liverpool face in the league on Saturday. Derby currently lie in 20th place, a point above the relegation zone, having won just one of their opening eight games. Liverpool have been knocked out just once in their past 13 ties against lower-league sides in this competition, crashing out on penalties to “formidable” Northampton at a rainy, miserable Anfield in September 2010 with Roy Hodgson at the reins. Shudder. One change Klopp is expected to make tonight is in goal, with Loris Karius set to make his competitive debut for the club after his summer signing. Asked who would be in goal tonight, Klopp said it would be the new boy, any unexpected setbacks permitting: “Loris will play, if nothing happens,” he said. Karius missed the start of the season with injury but will be staking his claim to be Klopp’s first pick, even though Jürgen Klopp made it clear this week that he wanted two top quality keepers at his disposal and that he hasn’t got a No.1 at the moment, even if Karius does wear that number on his back. Klopp did, however, explain just what he saw in the former Mainz keeper. 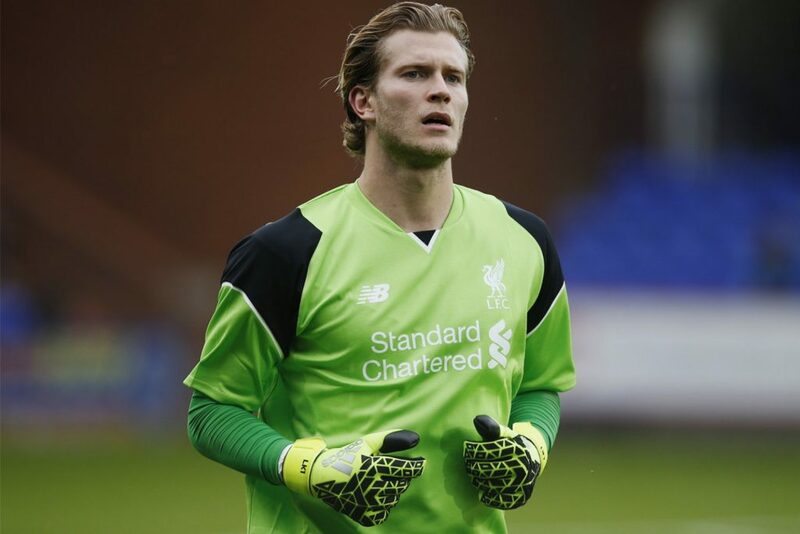 “He was a really strong Bundesliga goalkeeper and that means a lot,” Klopp said. “Germany is a goalkeeper country. We have no issue with goalkeepers. The best keeper in the world plays at Bayern Munich and is German. We have always had good ones, maybe not always the best in the world, but good ones. There could also be a chance for Alberto Moreno to make the manager think again about using James Milner in his place as his first-choice left-back in the league, with Klopp also no doubt tempted to rest his rapidly blooming centre-back pairing of Matip and Lovren. It won’t be Sakho who steps in for them though, given Klopp’s comments yesterday. Klopp said that although Sakho was still working on his fitness he was a long way short of being ready to return with quite a few players ahead of him not only on fitness, perhaps, but on how the manager sees them as fitting in with his plans. “He’s still working but being match fit is a big difference, that’s all. “We have to make a few sessions, then it’s not about how the player feels, it’s how I feel about how close the players are. It needs time. In attack Divock Origi has a chance of starting the game, having recently been restricted to brief substitute appearances. Many fans would like to see Danny Ings given a run – and Klopp praised the work he has put in to get back to fitness after his long lay-off – but with Roberto Firmino available again, after missing the Chelsea clash with a slight groin problem, the former Burnley striker may still find his path is blocked. Emre Can is moving ever nearer to fitness following his ankle problems and there is a strong possibility that Klopp will ease him back at some stage tonight, possible alongside young midfielder Kevin Stewart. The game kicks off at 7:45pm and is not being shown live on TV in the UK, where fans who aren’t lucky enough to be going to the game will instead have to wait until after 11pm for the highlights on Channel 5. That, of course, is always assuming they don’t use their ingenuity to find another way to see the game instead.